Housewares industry veteran David Peace died on January 23 after a short illness. Though known to most in the industry through his long involvement with Meyer Group, David started out as a professional musician, playing piano with many leading jazz and blues musicians. After some years he joined House of Fraser on its management training programme, and this was followed by periods working in housewares sales for brands including Carron, Electrolux, Tower, Husqvarna and Hackman. He joined Meyer Group in 1986 and worked for 25 years in different roles for the company, initially as one of the UK founding team of just three sales and marketing management and latterly as sales director. In that role, he helped transform the business significantly from humble beginnings to becoming a top supplier to the UK marketplace. After moving to take over export sales, he set up his own business in 2007, looking after export sales for not only Meyer Group but Typhoon, Challs, Nordicware and Imperial. He has also involved with market reports for UKTI (UK Trade & Investment – a government department working with businesses based in the UK to assist their success in international markets, and with overseas investors looking to the UK as an investment destination – now the Department for International Trade). David was a board member of the British Hardware & Housewares Manufacturers Association (now the British Home Enhancement Trade Association) and president for two years. 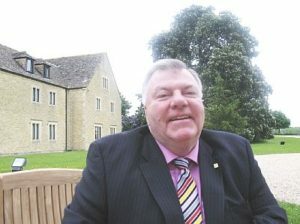 He was also a director of the Cranfield University Management Association. He retired in 2013 but a year later he was back in the sector in an export consultancy role, after frequently being asked by international companies for help in placing products and distributors together.